"To the people of Pittsburgh, we stand with you as you grieve and as you come together as a community to move forward. This loss of life and suffering is senseless — it is terrifying — but I know it will not stop how we all live together. It will not stop how we welcome people of all faiths in our cities." 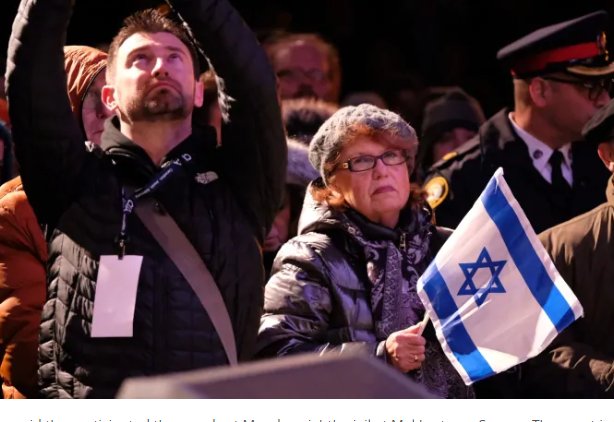 Thousands gathered at Mel Lastman Square on Monday to honour the 11 victims of Saturday's mass shooting at a Pittsburgh synagogue. Jewish community members held candles and stood for a moment of silence at the vigil, which included numerous speakers and a prayer led by Judy Winberg - the cousin of Joyce Fienberg, one of the victims who grew up in Toronto. Similar gatherings took place in Halifax, Vancouver, Ottawa and several other cities. Prior to a game on Tuesday, the Pittsburgh Penguins hockey team held an 11-second moment of silence to honour the victims of the synagogue shooting in Pittsburgh. 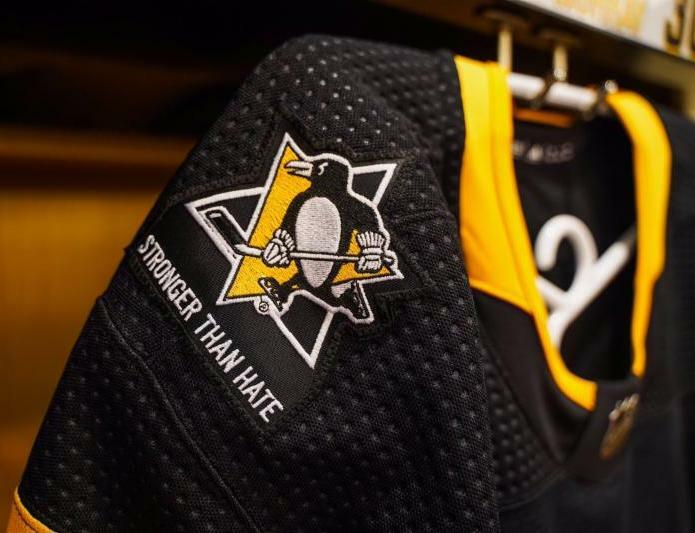 Penguins players wore a special "Stronger than Hate" patch on their jerseys, which incorporated the team logo and a Star of David. The jerseys were signed and auctioned in an effort to raise money and support victims and families of the shooting. 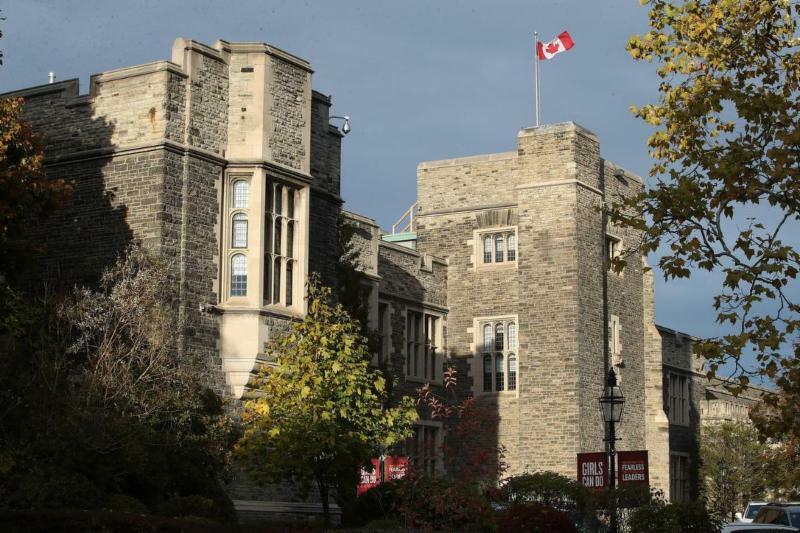 Bishop Strachan School has fired its head and issued an apology following a controversial adaptation of The Merchant of Venice that parents of students described as blatantly antisemitic. Parents argued that students were not provided with advanced preparation and necessary interpretation and perspective prior to the play, allowing for the important message to get lost and "replaced with the perpetuation of dangerous antisemitic stereotypes." FSWC has been in contact with the school and parents, offering to run educational programs at the school. The Friends of Simon Wiesenthal Center education team works tirelessly ever day to inspire young people to take action against hatred and intolerance. 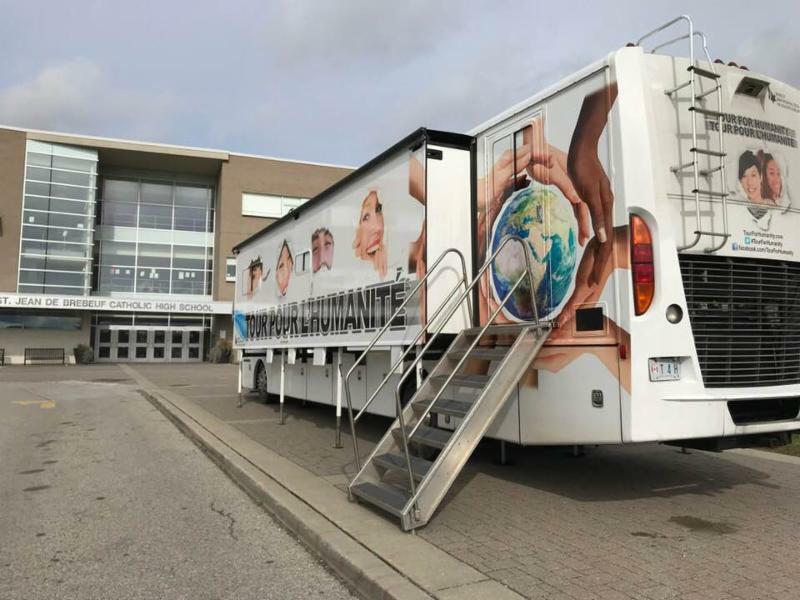 Through workshops and the Tour for Humanity, we bring Holocaust and human rights education to students of all ages across Ontario and beyond to help make our communities safer and more accepting. Support these importance programs and initiatives today. A report was published this week suggesting a far lower risk to Jews in Russia than in Western Europe, while another survey indicates far greater prevalence of antisemitic sentiment in Russia and other Eastern European countries than in the West. 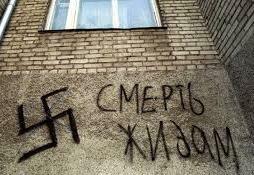 While Russia reportedly saw fewer than 10 suspected hate crimes against Jews in the first half of 2018, only 40% of Russians said they would not object to accepting a Jew into their family. Following a New York Times report revealing that nearly 12,000 posts were found promoting the conspiracy theory, Instagram has removed the antisemitic hashtags #911wasdonebythejews and #jewsdid911. However, there are plenty of other antisemitic hashtags and content that still exist on the photo-sharing site. 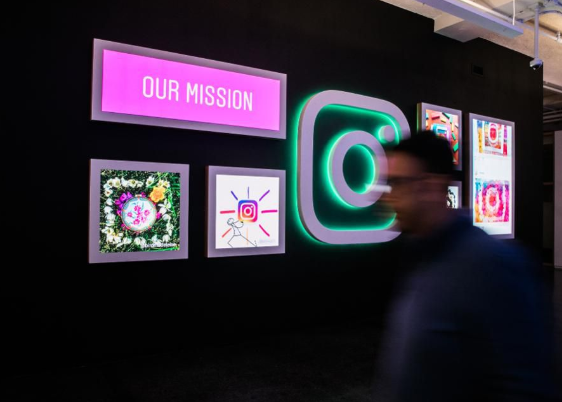 While Instagram said it is actively reviewing and removing hashtags and content that violate their policies, some are arguing it has done a poor job of policing. 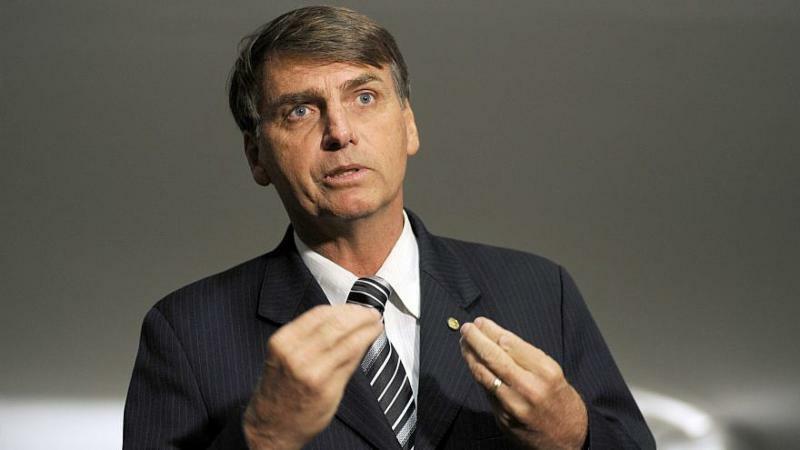 Brazilian president-elect Jair Bolsonaro, who will take office on January 1, recently said he has plans to shut down the Palestinian embassy in Brasilia, stating, “Is Palestine a country? Palestine is not a country, so there should be no embassy here...You do not negotiate with terrorists.” Bolsonaro stated his first international trip as president will be to Israel. Pressure on Saudi Arabia to agree to a ceasefire in Yemen has intensified. Both the US and Britain have been pushing for Saudi Arabia to end its three-and-a-half-year-old conflict with Yemen, which is going through what has been called the world's worst man-made humanitarian disaster. Saudi-led airstrikes have killed thousands of Yemeni citizens, while a raft of punitive economic measures has driven millions deeper into poverty. In a statement on the State Department website, Secretary of State Mike Pompeo said, "It is time to end this conflict, replace conflict with compromise, and allow the Yemeni people to heal through peace and reconstruction." Less Than 10 Tickets Remain for the State of the Union! In less than a week, the State of the Union will be underway - welcoming an incredible lineup of speakers who will share their inspirational stories. Do not miss out! 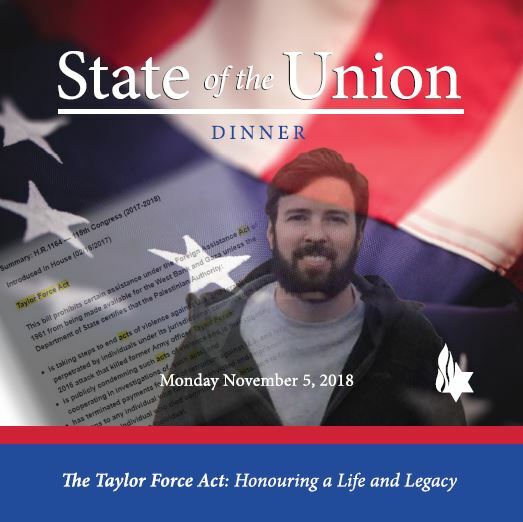 State of the Union will take place on November 5th at the Forest Hill Jewish Centre. To register, contact us at tsteyn@fswc.ca and 416-864-9735 ext. 21.